One of Dr. Rimland’s main goals was to update the autism community about research in the areas of behavioral, medical, education, sensory, and genetic issues. He started to publish a quarterly science newsletter, the Autism Research Review International, starting in 1987. Besides reporting on the most current and relevant research findings, Dr. Rimland wrote editorials to provide parents and professionals with his perspective. For many people, this newsletter is their main source of trusted information about science and autism. In 1995 Dr. Rimland organized the first international think tank on autism, and invited researchers and experienced physicians to meet for a weekend in Dallas, Texas. Since this first meeting almost 20 years ago, ARI has continued to sponsor annual think tanks. During the 2½-day meeting, researchers and doctors exchange information about the latest scientific developments. Besides immune and GI issues, which were singled out at our first think tank, discussion now includes nutrition, metabolism, neurology, environmental triggers, and genetics. ARI also sponsors think tanks in other regions. One is in Toronto, Canada, along with AutismCanada, and since many researchers in our network live and work in the New England area, ARI co-sponsors, with Dr. Harland Winter at Massachusetts General Hospital, an end-of-the-year annual think tank in which participants share updates on the current status of their research. Interestingly, other than this annual think tank, these highly-respected investigators rarely meet as a group to discuss autism. These researchers hail from Boston University, Harvard/Mass General, Northeastern University, and Tufts. ARI maintains a private Internet discussion group consisting of researchers and experienced clinicians. The posts on this list serve are another way to share information and maintain a much-needed dialogue between the two groups. 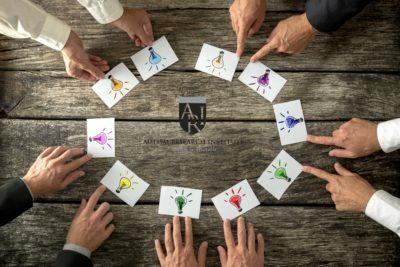 ARI funds innovative research studies—the type of studies Dr. Rimland referred to as “Research that makes a difference.” Although we cannot afford to fund large-scale, multi-million dollar studies, our role in the autism community is to award small grants to support innovative, “preliminary” investigational studies. That is, we provide enough funds to test initial, often cutting-edge, scientific hypotheses. If the findings are positive, the researchers typically apply for much larger grants from autism organizations and federal health-care agencies. In just the past two years, we awarded “investigational” grants to researchers studying autism at numerous universities throughout the country, including Arizona State University, Cleveland Clinic, Columbia University, Harvard/Mass General, the MIND Institute, New Jersey Medical Center, Tufts University, University of Arkansas, University of Louisville, University of Maryland, University of Minnesota, University of Pittsburgh, and the UCLA VA Center. Tissue Banks. Research on brain tissue is needed to understand the underlying causes of autism. The neural configuration may also provide us with clues regarding appropriate treatment. For the past several years, ARI has supported the University of Maryland’s brain tissue bank. We can assure our donors that their storage facility has in place many built-in safeguards. This is an important issue given the recent loss of brain tissue at another autism tissue bank. Besides the brain, another organ important to understanding autism is the bowel. ARI supports the gastrointestinal depository at MassGeneral in Boston. ARI is involved in several major research projects. One is a replication study on subtyping autism. For almost 50 years, ARI has collected detailed information on developmental histories and common symptoms. A few years ago an analysis of over 40,000 cases indicated a possibility of 10 to 12 subtypes. If there are valid subtypes of autism, researchers will be in a much better position to study the underlying cause and the most effective treatments for each type of autism. We have just completed data collection (over 2,300 cases), and we have begun analyzing the data. Dr. Andrey Rhetzky at the University of Chicago, who is well-versed in data classification, is assisting us with this line of research. We recently finished data collection (nearly 450 cases) on medical issues and sensory challenges suffered by adults on the spectrum (age 18 years and older). We also teamed up with researchers at Colorado University School of Medicine and Drexel University to develop a large-scale survey on emotional trauma in autism. Emotional trauma often stems from bullying as well as physical and sexual abuse, and there has been little effort to understand how these traumatic events impact emotional health and long-term outcome. Another issue overlooked by the research community is the health and welfare of seniors with autism. Many families are in “panic mode,” concerned about their ability to continue to care for their aging autistic loved one. Currently, there is no information regarding aging within the ASD population with regard to housing, healthcare, support services, medical and financial concerns, or end-of-life decisions. We are collaborating with Dr. Margaret Bauman at Boston University on a study focused on seniors with autism (ages 55 and older). In our first of what will likely be many studies, we will survey various aspects of their lives, such as past and current housing situations, past and current medical history, recreational activities, and more. Research on Sensory Issues. We are collaborating with Drs. Manuel Casanova and Estate Sokhadze who run a sophisticated psychophysiological laboratory at the University of Louisville. Together we are studying whether sensory sensitivities can be reduced by restoring neural inhibition. These studies include ambient vision training with Dr. Melvin Kaplan, auditory integration training, and deep pressure using Temple Grandin’s squeeze machine. As most of you know, Dr. Rimland was the father of Mark Rimland, a person with autism who inspired him to dedicate most of his life to autism. One of Dr. Rimland’s passions was sharing relevant information with other parents throughout the world. To do this, he established the Autism Society of America, lectured throughout the world, mailed out thick packets of information with his recommendations to families, wrote editorial commentaries about the current state of autism, and published the Autism Research Review International science newsletter. Since Dr. Rimland’s passing, ARI has continued to disseminate relevant information to families and professionals. The Cleveland Clinic Center for Continuing Education and ARI are collaborating to offer free Continuing Medical Education (CME) credit for an online Autism Education series describing the gastrointestinal, metabolic, and neurological comorbidities in persons with autism. ARI co-produces these webcasts under direction of Marvin Natowicz, M.D., Ph.D., a well-respected clinician and medical researcher at Cleveland Clinic. This collaboration makes important information about medically-related issues instantly available to pediatricians, psychiatrists, general practitioners, and other medical professionals for no charge. The Cleveland Clinic Continuing Education website started offering the webcasts online starting in early November and plans are underway to develop additional webcasts in the months to come. This was Dr. Rimland’s dream — to facilitate education for the medical community about the many of the health-related problems commonly associated with autism. The webcasts are free and available for viewing by anyone with online access at www.ClevelandClinicMedEd.com. We have begun recruiting top researchers in 20 areas to write summary reports on known findings as well as gaps in knowledge in their particular field of study (e.g., immunology, neurology, sleep, education, epigenetics, adult issues). We hope to finish and distribute these reports as well as convene an in-person meeting of these experts in mid-2015. More to come. The Internet is an effective medium to share information with the autism community, and ARI has led the way since the “early days.” Today, ARI sponsors a Yahoo discussion group that gives parents the opportunity to ask questions and share information with one another. We also post information on a daily basis to Facebook, Twitter, and FlipBoard (an up-and-coming approach to integrating multiple social media outlets). These daily posts include descriptions of recent research studies and other important autism-related news. ARI organizes three to four webinars each month on a variety of topics, presented by qualified professionals. The videos from these webinars are then uploaded to our YouTube channel. Families and professionals can also access these videos at any time from our webinar portal, www.AutismWebinars.com. we have over 55,000 email subscribers. ARI has also been instrumental in the publication of numerous books on autism. One exciting book, which will be published later this month by Jessica Kingsley Publishers, is the 50th anniversary edition of Dr. Rimland’s classic book, Infantile Autism, in which he destroyed the then-popular psychodynamic, parent-blaming theory of autism causation. In addition to the original text, many well-respected clinicians and researchers have contributed updates to specific topics. Drs. Temple Grandin and Margaret Bauman wrote the forewords to the book, and Dr. Sidney Baker wrote the afterword. Last year ARI published Dr. Jon Pangborn’s ground-breaking book on nutritional supplements that provides readers with extensive information as well as a description of published research on nutritional supplements. Dr. Pangborn also offers advice on what to look for and what to look out for when considering supplements. Book and Online Course on Self-Injurious Behavior. Self-injurious behavior is one of the most severe and challenging-to-treat behaviors exhibited by many people on the autism spectrum. Common forms of this behavior include head-banging, hand-biting, and excessive rubbing/scratching of the skin. Other less-common forms include eye-poking, hair-pulling, and rectal digging. We are in the middle of coordinating and editing a book on understanding and treating self-injurious behavior, which will take an integrative, multidisciplinary approach. We plan to “go live” with an online course on self-injury soon after the book is published. Over the past three years, ARI has actively expanded its efforts to provide guidance to the autism community regarding adult issues. We established the Autistic Global Initiative (AGI), an ARI program run by adults on the autism spectrum. The director, Dr. Valerie Paradiz, a full-time employee, is on the autism spectrum, and she and AGI’s advisory committee work together to inform the autism community about adult-related issues; they also develop many projects and initiatives. AGI is responsible for publishing the ARI Adults with ASD e-bulletin on a quarterly basis. High quality of life is an important benchmark to strive for, and it is dependent, to a large degree, on one’s home life—be it in a family home, group residential setting, or an intentional community. AGI created a 12-week online daily living/ residential curriculum to teach parents and professionals how to understand and manage various at-home living situations. Autism Speaks awarded AGI $235,000 to develop this web-based course. Over 1,000 people have completed the course worldwide since it began, a little over a year ago. AGI recently released a film on the effects of trauma in autism entitled Trauma Warriors, in which several adults on the spectrum describe their trauma experiences as children as well as their experiences in adult life. The film documents common narratives of people with autism who must not only persevere through the difficulties they experience because of their own disability, but overcome certain challenges when accessing support due to discrimination and misunderstandings. The lack of employment opportunies has received a great deal of attention from the autism community as well as the media. There is now a substantial amount of information about various aspects of employment; however, it is a challenge to locate relevant information related specifically to one’s interest, even using Internet search engines. To help people navigate employment issues on the Internet, we recently premiered an online employment portal, www.autism.jobs. We also plan to offer an online employment course in 2015. Over the past 10 years more and more adults with autism have begun to speak publicly about the challenges they face, and how cultural restrictions and stereotypes often interfere with their ability to attain a self-determined life. We believe that, over time, adults with autism will have an even greater role in the autism community, speaking out on basic human rights, clarifying misinformation about autism, and advocating for appropriate services. In anticipation of this, AGI has created a Young Leaders Division (YLD) to mentor young adults with autism to communicate effectively with the autism community and the general public. Earlier this year we hosted a YLD leadership summit in Boulder, Colorado. As a result, the YLD is about to complete and distribute a “Host Your Own Leadership Summit” curriculum that will provide guidance to other young adults around the world. Dr. Rimland cared about families worldwide. Many of his questionnaires were translated into different languages, and ARI’s science newsletter continues to be distributed throughout the world. Since his passing, we have made a concerted effort to translate many key articles into Arabic, Armenian, Chinese, Czech, French, German, Italian, Japanese, Polish, Portuguese, Romanian, Russian, Spanish, and Turkish. Did you know that ARI is one of only three autism organizations that are NGO members of the United Nations? In addition, ARI houses the Global Autism Collaboration, which is an informational network consisting of over 120 non-profit organizations worldwide. Over the past two years, ARI representatives have traveled to various countries to present much-needed information to parents and professionals. Because of the tension between the United States and Russian governments regarding Ukraine, we made an effort to visit and expand our network in eastern Europe in case communication with families and professionals becomes more difficult. Both last year and this year, I traveled to Russia and Ukraine to co-sponsor major autism conferences. In Moscow, I was able to bring expert researchers to speak on gastrointestinal, immune, metabolic, nutrition, seizure, self-injury, ABA, sensory, and adult issues. We were instrumental in arranging for an owner of a large autism center in Odessa, Ukraine to travel to the US and work on obtaining a BCBA (i.e., a certification of expertise in Applied Behavior Analysis). We plan to share information regarding several types of visas and detailed instructions on how to complete the Petition for a Nonimmigrant Worker (form I-129). The H-3 nonimmigrant category within this petition was established specifically to help foreign nationals receive “practical training and experience in the education of children with physical, mental, or emotional disabilities.” We encourage owners and directors of treatment centers within the United States to sponsor professionals from other countries, thus improving the quality of services for those with autism worldwide. The information will be posted to www.ASD-VisaInformation.com by mid-February. Note: Last year ARI sent representatives to speak on autism in Bogata, Ghana, and the Philippines. Since the 1960s, ARI has distributed and offered free scoring of the E-2 diagnostic checklist. Dr. Rimland developed this checklist to diagnose Kanner’s syndrome or “classical” autism. Basically, the more symptoms and behaviors characteristic of autism, the higher the E-2 score. The E-2 consists of a behavior and a speech/language scale. Another one of our popular assessment tools is the Autism Treatment Evaluation Checklist (ATEC), which was developed by Dr. Rimland and me to help parents monitor the progress of their child. Several published research studies have also utilized the ATEC as part of their assessment battery. The ATEC is available online (accessible through www.autism.com), and there is no charge to use it. It has been translated into several languages including: Dutch, Italian, Portuguese, Russian, Serbian, Spanish, and Turkish. Note: Several hundred thousand ATECs have been completed over the past five years. Contacting ARI. We sponsor a toll-free resource center through which people can talk to a “live” knowledgeable person about autism (833.281-7165). I hope this rather lengthy letter provides you with a much better understanding of our recent efforts at ARI. Each program, initiative, and project listed in these six pages requires time, energy, and money. If you feel that ARI is truly making a difference within the autism community, I hope you will consider making a donation. Your contribution will allow us to maintain as well as expand our efforts to improve the quality of life for people on the autism spectrum, of all ages, and their families. Help ARI improve the quality of life for children and adults with autism.